***PLEASE NOTE*** Due to the amount of people leaving trash in the units, WE NOW CHARGE A $100.00 CLEANING DEPOSIT PER UNIT to your card used at registration, along with your high bid amount and buyer's premium that will be returned once your unit has been cleaned out and verified by the facility managers. The refund typically takes 2-3 days to process. AN ADDITIONAL CLEANING FEE OF 200.00 PER UNIT WILL BE CHARGED IF ANYTHING IS LEFT IN THE UNIT AND YOU WILL BE BANNED FROM ALL FUTURE AUCTIONS. Strange Auction Services (Auctioneer) acts as agents for the Landlords of Self Storage facilities. Our auctions are conducted in accordance with the applicable State Self Storage Facility Laws - the tenants of auctioned storage units are in default of rent for their units. All storage auctions listed on at www.strangeauctionservices.com are lien sales and if a tenant pays their lien, the auction for their storage unit is cancelled. All items are sold AS IS - WHERE IS. The Auctioneer neither makes nor implies any warranties or guarantees of any kind. All sales are final - NO REFUNDS FOR ANY REASON! The Auctioneer reserves the right to cancel any bids, for any reason. 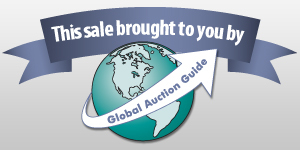 Immediately following the auction, you must make FULL PAYMENT for all your items. Winning bidders will pay a 17.5% Buyer's Premium on top of their winning bid. All items are subject to any required State Sales Tax, unless otherwise described. Tax Exempt buyers must present their current Resale Certificate, or they will pay Sales Tax. The Buyer's Premium plus sales tax and 100.00 per unit cleaning deposit will be added to the bid price to equal the total purchase price paid for auction items. Your credit card used at registration will be charged the full amount within 1 hour and you will receive receipt of payment which you must show to the facility staff, when removing items. Nothing may be removed until after full payment has been made and you have been emailed receipt of payment. When placing a bid, the buyer accepts the fact that he or she is entering into a legal binding contract. The buyer must contact the Seller as soon as possible to make arrangements for pick up. You are bidding on ALL items within each lot, and the winning bidder is responsible for removing everything in that lot from the storage facility, within 72 hours. You may not use the dumpsters or otherwise dispose of any garbage at these facilities. Beware - offenders may be prosecuted. If you fail to remove any item within 7 days, it will be considered abandoned and immediately becomes the sole property of the Storage Facility, who may dispose of it in any manner that they choose. If the disposal costs money, then the buyer will be responsible for these costs. If the buyer does not abide by the legal binding contract, the credit card on file may be charged late fees and penalty fees. The buyer agrees to these terms by registering and using this site and agrees not to dispute any credit card charges that are processed through this site. Bidder agrees to indemnify and holds harmless Auctioneer and Landlord of any damages or injury resulting from attendance at any auction and the removal of property from any auction. Upon acceptance of a bid by the Auctioneer, the risk of loss to the property shifts to the Winning Bidder. If you find any "personal items," including family pictures, personal paperwork or business records, then YOU MUST hand them to the Storage Facility Manager, who will attempt to return them to the tenant. The Facility retains the right to request that certain items or a complete lot be purchased back by the Facility, in order to prevent any court action with the tenant. Additional rules may apply if verbally announced by the Auctioneer. Announcement:Information contained herein is presented on behalf of the seller. Strange Auction Services, agent for the seller, cannot guarantee the information to be correct or assume the liabilities for errors and omissions. All lines drawn on maps are approximate. Buyers should verify the information to their own satisfaction. Any announcements made from the auction block on day of auction will take precedence over any matter of print and will be final.